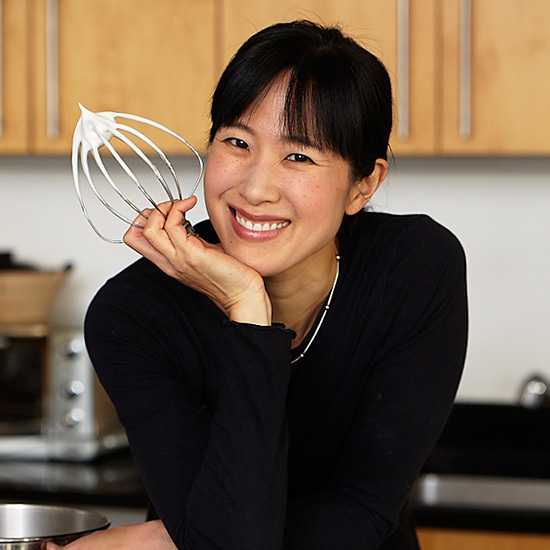 Restaurateur and baking guru Joanne Chang shares five tips she preaches to her team. People ask me all the time if I miss baking. As a pastry chef, I spent the first part of my career in a baggy, oversized polyester chef's coat working in windowless basements for 10 to 12 hours a day, baking cakes, mixing doughs, shaping breads, lining and filling tarts. I loved it! I reveled in the minutia of making every pastry perfect and tasting every sauce and cookie and cake (nope, it never gets old). Many of us shy away from direct communication when something bothers us about a person or something is frustrating and hard to bring up. Push against that inclination and name the elephant in the room. Say, "This is difficult to bring up because of this and that." Be as open and honest as you can so that you can push through the discomfort and get to a better place where you can talk openly with the other person. Embrace uncomfortable situations and know that how you handle them is more important than what you do to handle them. 2. Mirror and embrace feedback. When a staff member comes to you with an issue or complaint, the first step is to mirror what they tell you. Repeat back what they are saying so that you can be certain you are on the same page as they are and so they feel heard. Even if you are not able to fix the problem, if they feel recognized that the issue was heard, it will go a long way in relieving some of the frustration. Take all feedback from staff as if a guest suggested it. You would never dismiss out of hand a guest who comes up to you and makes a suggestion—remember that our staff are our most important customers. Have a solutions-based mindset: "Thanks for letting me know! Let's think together about how we can solve this." Say hi to each employee when you arrive and say bye to everyone when you leave. Recognize everyone, and make sure they know that they matter. Everyone appreciates being acknowledged. It demonstrates leadership, that you are here to start the day, that you support the team and that you want to work together. My favorite part of every day is going to each location and saying hi to everyone and getting a sense of what mood they are in and how their day is going. 4. Recognize that you are now on stage. As the boss, it's no longer all about you—your focus is on everyone around you. Everything you say and do is being watched by the staff and seen as having a stamp of approval. Your role is to tackle every single day with optimism, focus, determination and a dedication to providing your team with whatever they need to succeed at their jobs. When I was first a boss, if I had was having a bad day I would get quiet and withdrawn. Bakers would nervously ask me if I was mad at them, and I realized that I couldn't be in a bad mood and not have them think they had done something wrong. Don't be insincere or fake…but keeping a game face on as a boss is crucial to ensuring a stable team. Being gracious to everyone you come in contact with—whether staff, guest, delivery person, bus driver—is what you do because that is who you are. Say thank you and say please. Every year I give out a blank thank-you card to each staff member and tell them to use it to thank someone in their life. It's wonderful seeing the thank-you cards tucked in people's lockers as they thank their coworkers, or in a delivery person's hands on their way out or addressed to their mom.